Hello everybody: I have the Power Poppy set called Orchids Rock and I've been wanting to ink it up since I bought it about a month ago so, I'm taking advantage of a few challenges in which the main color they are asking is PINK, here is my card. I will enter it in a few challenges at the end of this post. 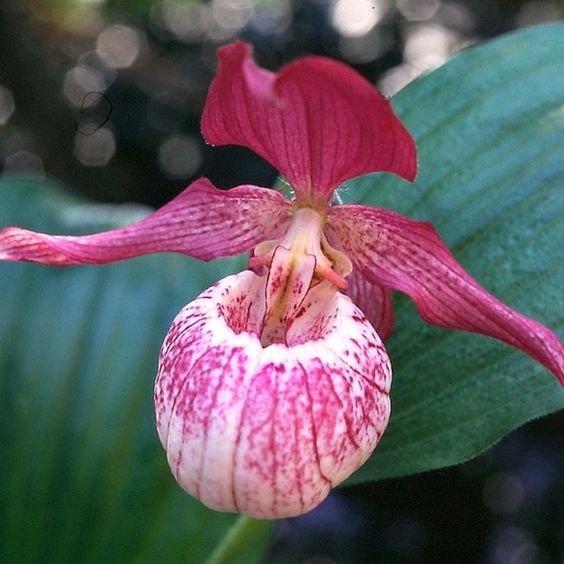 This flowers are so amazing in real life, I had to go and look for a picture of this beautiful Orchids called "Lady Sleeper" so I could have an idea of what colors they come in so I can color my image. 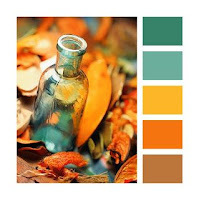 I found this picture on Google so I tried my best to mimic this gorgeous colors. 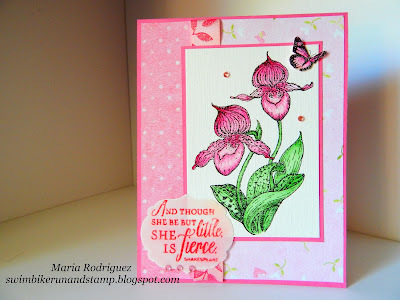 I stamped my Orchids onto a piece of Canva water color paper with Versafine black ink and heat embossed it with clear embossing powder, I like the sharp, defined lines and the embossing powder keeps your water color where you want it, with no bleeding out. I colored with my SU markers adding a bit of shadow with Prismacolor pencils. 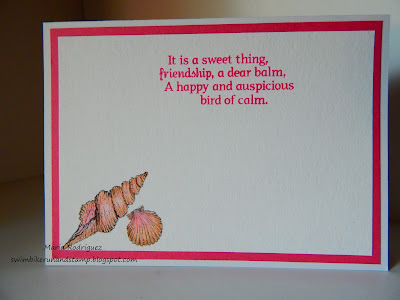 The sentiment is stamped with Strawberry Slush onto a die cut piece of vellum and also clear heat embossed. The patter papers are from a discontinued line from Lili of the Valley, the ribbon is from my stash. That little butterfly is from a stamp set I had for several years, the problem is that I threw away the package and never bother to write the name of the company or the name of the set, this was way before I ever entertain the idea of having a blog. The sentiment is from The Ton stamp set called Pyrotechnics, the die cut is from Cuttle Bug, I added a pink ribbon to remind everybody that October is the Breast Cancer Awareness Month, early detection saves lives!!!!! CRAFT ROCKET CHALLENGES #25, use ribbon and or lace. The Alphabet Challenge "P is for Pretty in Pink"
Cut It Up Challenge #106, Pink or Breast Cancer Awareness. 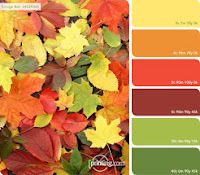 Inspiration Destination Challenge #106 Anything Goes. 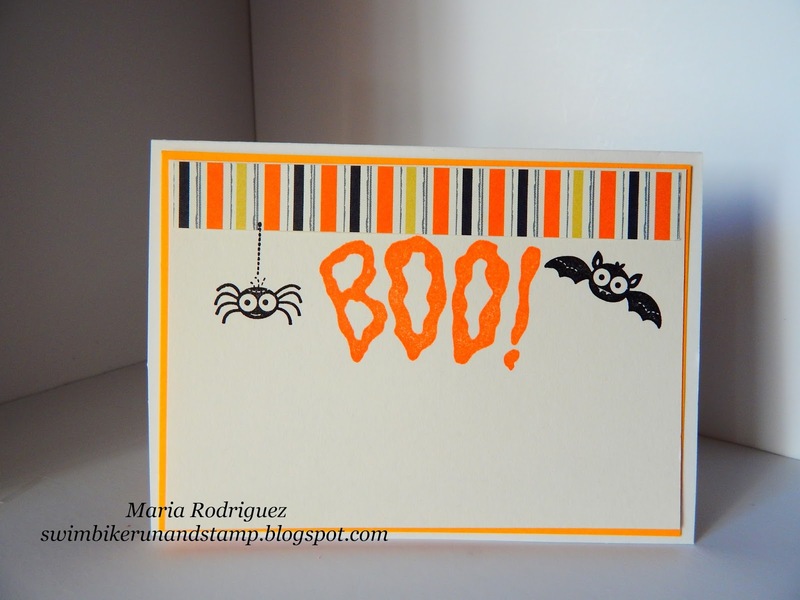 Hello everyone: This morning I was looking for some challenges to make some Halloween cards for family and friends and I found one called Craftaholics and the challenge is to make Halloween cards for girls. Now, many of you know how much I love the House Mouse siblings so, as soon as I saw this challenge's theme, my mind fluttered to this sweet stamp, here is a Halloween card I was asked to make by one of my Triathlon friends (perfect timing for this challenge), her little step-granddaughter wants to be a butterfly for Halloween, isn't that so sweet?! She is 5 years old and her grandma has been working hard making the costume, I just hope the weather will cooperate on Halloween day up there in Spokane!! This image is from House Mouse and it's called Monica Butterfly, she is adorable, isn't she? 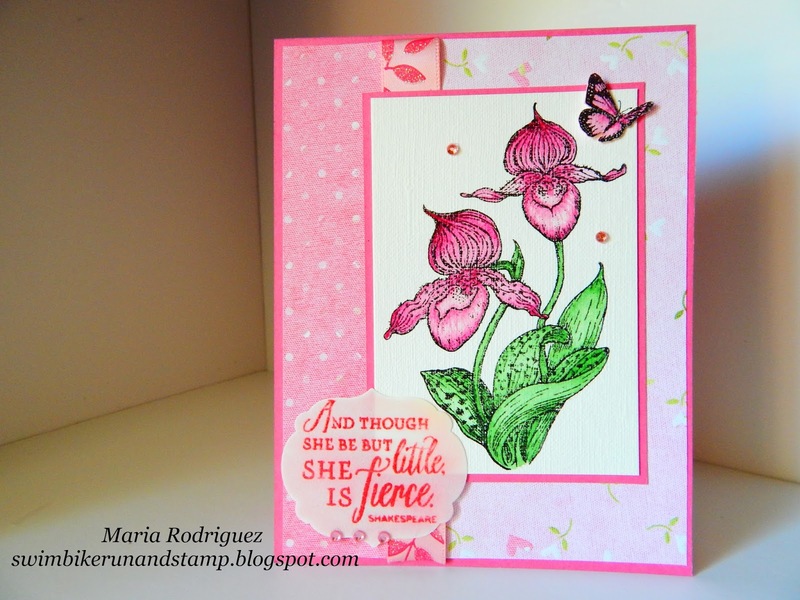 I stamped this image onto a die cut piece of Canson Water color paper and colored it with SU markers, the aqua painter and Prismacolor pencils. The pattern paper is very old from SU, the other papers and the ribbons are from my stash. The sentiment is from my stash and the little spider and bat from a retired SU set called "Googly Ghouls", scary aren't they? If You Give a Crafter a Cookie Photo inspiration. 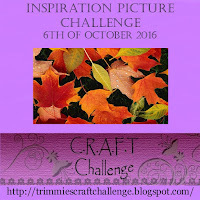 Crafty Ribbons Challenge #170 "Halloween Colors"
C.R.A.F.T Challenge #384 Photo Inspiration. 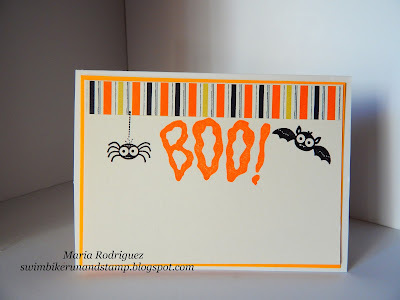 Craftaholics R Us Challenge #4 "Halloween Cards For Girls"
Hello everyone: I have a card I made with the sweetest little Elf I've ever seen, it's called Little Elf Finn from Penny Black. 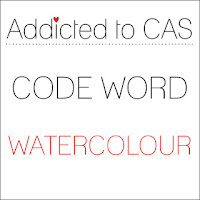 I saw THIS CARD on Pinterest and I CASE'd it, I just changed the sentiment and the colors a bit. Now, I will let you bask in the cuteness of this adorable image. Well, isn't she just beautiful? 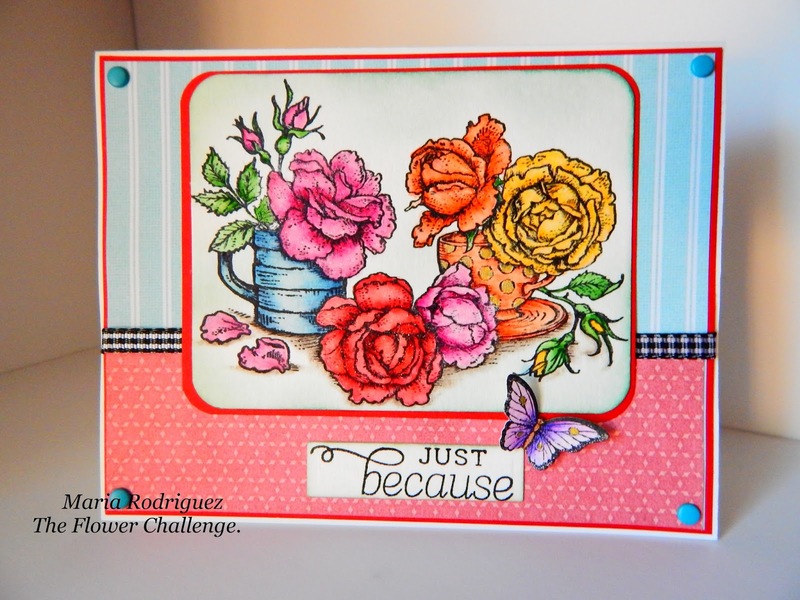 I have had this stamp for a while and I don't understand why I haven't inked it up before, I think I was waiting for the perfect time to do it and I found it at the Merry Monday challenge, woo hoo!! 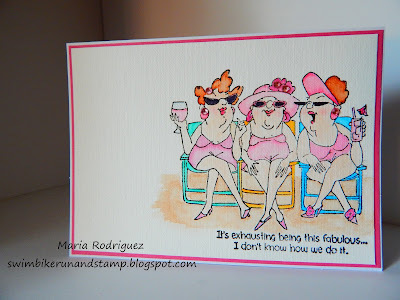 I stamped the image onto a piece of Canva paper with Versafine black ink and heat embossed it with clear embossing powder, I found out that heat embossing your images makes water coloring them easier because the embossed areas keep the ink from bleeding out. I used SU markers and lots of Dazzling Diamonds for her hat, trim and puff. I die cut some snowflakes with silver foil paper and heat embossed in silver glitter the JOY sentiment. The bow is from my stash. 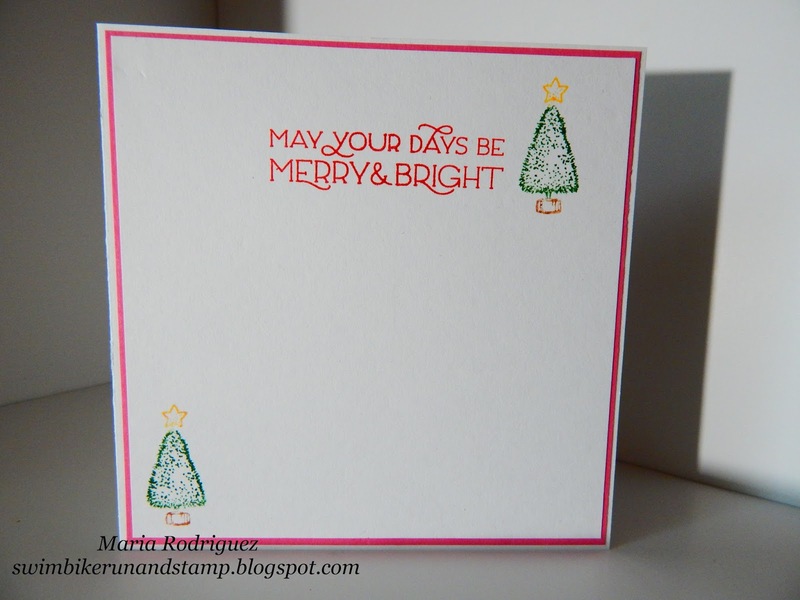 This sentiment is from a Power Poppy by Marcella Hawley set called Poinsettia an the little bottle brush Christmas Trees from the set called Merry Littles, I use this set all the time to adorn the inside of my cards, all of this images and sentiments are just darling. 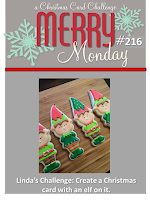 Merry Monday Challenge #216 "Elves"
Craft Dee Bowz "Anything Goes include a hand made bow"
Incy Wincy Designs "All that Glitters"
Sparkle and Sprinkle October Challenge "use glitter, embossing powder or flocking. Snow Flake Promise Challenge 30 "Twist of the Seasons"
And don't forget to stop by The Flower Challenge on it's first challenge and join us in the gallery. Hello dear friends: Today is a very, very special day for me. 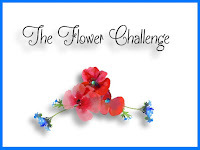 I have been invited by my dear friend Aileen Ryan from Colour and Sparkle to be one of the members of the Design Team for a brand new Challenge Blog she created called The Flower Challenge, this request was immediately answered by a loud and clear YES, YES shout across the miles from me. 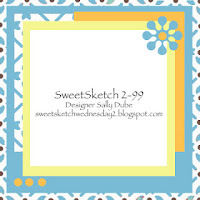 I started this little blog of mine on December of 2014 and it has grown by leaps and bounds, I'm learning a ton of new things about blogging and, well.....here I am, on the Designer Team of this awesome challenge blog, in the company of some of the most talented, creative ladies I've ever met, this is an honor and a thrill for me, one that I will strive deserve, as I embark on this Journey along with my teammates. 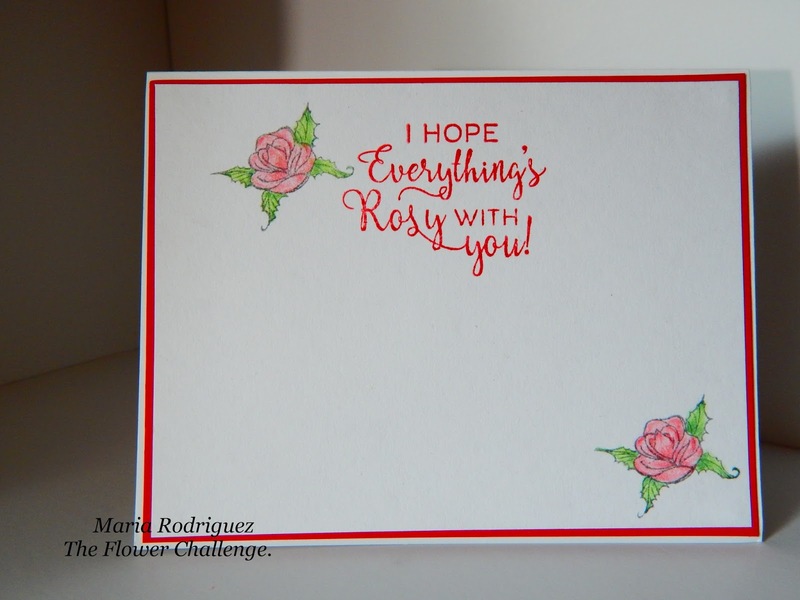 The main focus of this Challenge Blog will be FLOWERS, so to get us started here is my card for our very first challenge post, the theme is "ANYTHING GOES", just remember to make flowers the main focus of your cards. 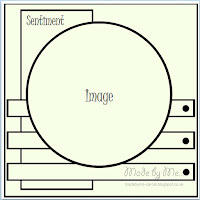 Here is mine, hope you like it and join us in the gallery, we can't wait to see your creations. This gorgeous image is from a Power Poppy by Marcella Hawley called Everything's Even Rosier. 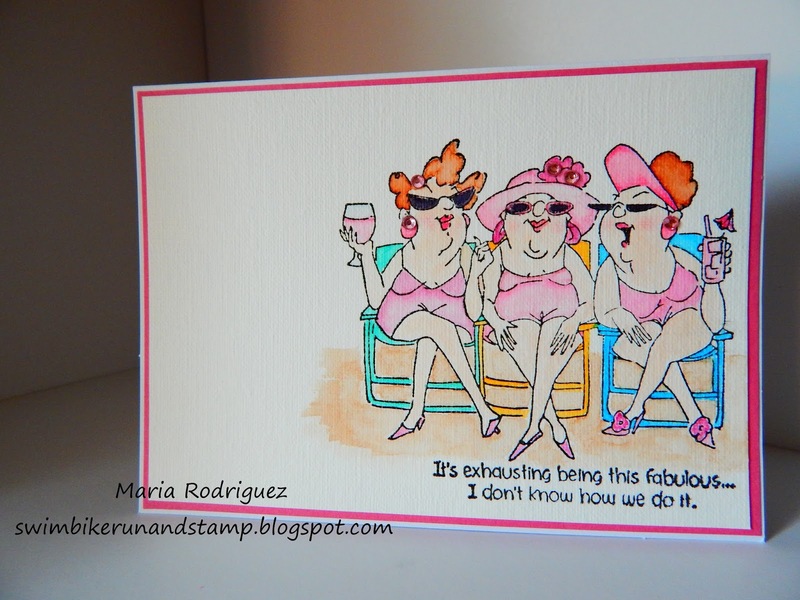 I stamped the image onto Canson water color paper with Stazon black ink and colored it with SU markers, the aqua painter and Prismacolor pencils. 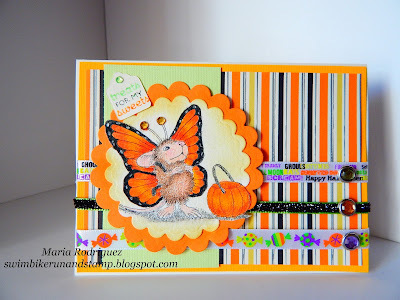 The patter papers are from a retired line from Lili of the Valley, the sentiment is from the set and the butterfly is from SU Papillon Potpourri. The sentiment is from the set and the roses from a very old Flourishes set. 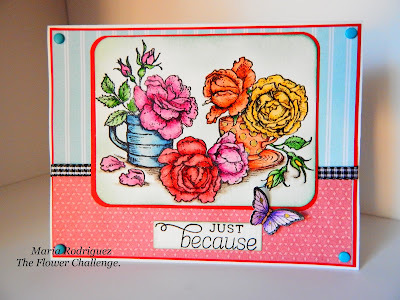 Thank you so much for stopping by, for more inspiration, please hop over my teammates blogs to see their beautiful creations and then, join us for our first challenge in the gallery. 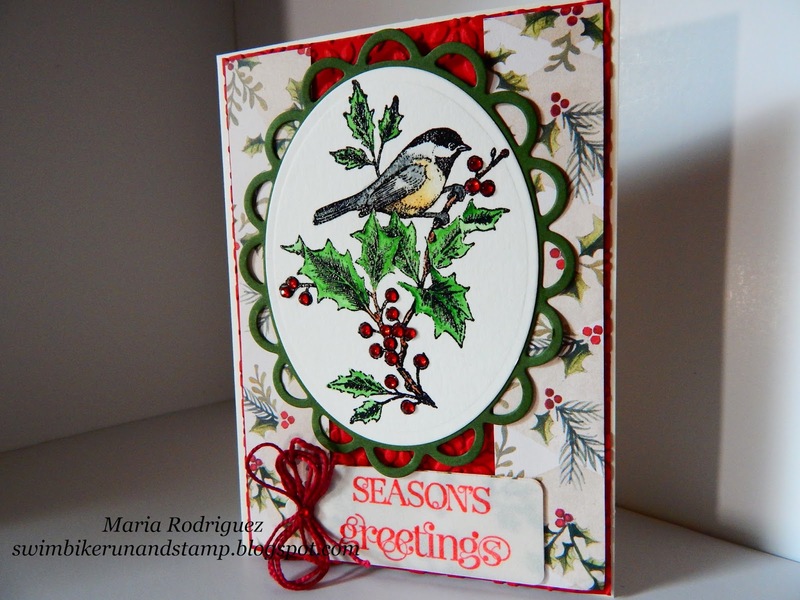 Hello everyone: The new challenge over at SHOPPING OUR STASH is all about FEATHERS or BIRDS so we all hope you have some birdie stamps somewhere in your stash and join us in the gallery. Here is my card to inspire you and, for more wonderful inspiration, hop over my teammates blogs to see their awesome creations. This image is from a very old and retired SU set called "Beautiful Season" from the 2011-2012 catalog, I love this beautiful Chickadee perched on this Holly branch. I stamped the image onto Canson water color paper with Versafine black ink and heat embossed it with clear embossing powder then, I colored it with SU markers, I put some red Rhine Stones on the berries for added sparkle. 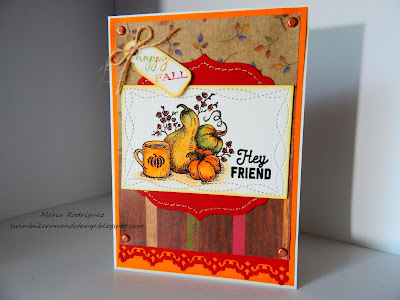 The sentiment is stamped with Barn Door distress ink onto a piece of Vellum and also clear heat embossed, I wanted the pretty pattern paper to show through. I made a pretty bow using some needle craft thread from my stash, this stuff is so old I had totally forgotten I had it until I was looking for some narrow ribbon for my card, it was in a plastic bag along with some green and gold threads. The sentiment is from a set from Power Poppy by Marcella Hawley and it's called Spice It Up and the gift box from Merry Littles, this set has a bunch of sweet images and fabulous sentiments, I use it a lot to finish the inside of my Holiday cards. Don't forget to hop over my teammates blogs and leave some inky love, then come and join us in the gallery, we can't wait to see what you create. Please remember to only link up your card to no more than 10 challenges including ours. 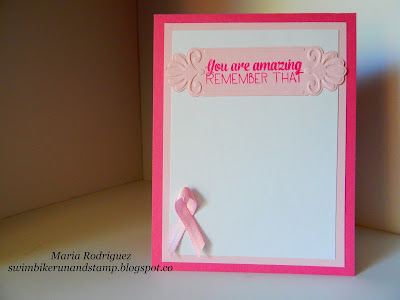 Hello dear friends: As you well know, October is Breast Cancer Awareness Month, so I made this card using lots of PINK to support this cause, self detection saves lives. This image is from Art Impressions, I just love this trio of friends. I stamped it onto a piece of Canson Canva paper with Versafine black ink and heat embossed it with clear embossing powder then, I colored it with SU markers and some neon kids markers I got the other day at the craft store. I added some pink Rhine Stones for a little bling. This sweet gals just make me wish I was on a beach somewhere, having some spiked pink lemonade with my friends. The sentiment is from a retired Flourishes set called Gerbera Daisies and the shells from the set called Sea Side Life, I colored this shells with Prismacolor pencils. 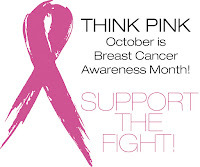 Artastic Challenge, Breast Cancer Awareness Month. 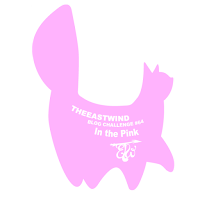 The East Wind Challenge #64 "In the Pink"
TIME OUT Challenge #67 (Breast Cancer Awareness Month.